Published on October 17, 2018 in New Hampshire Resort. Closed Tags: Halloween, haunted hike, NH Resort. 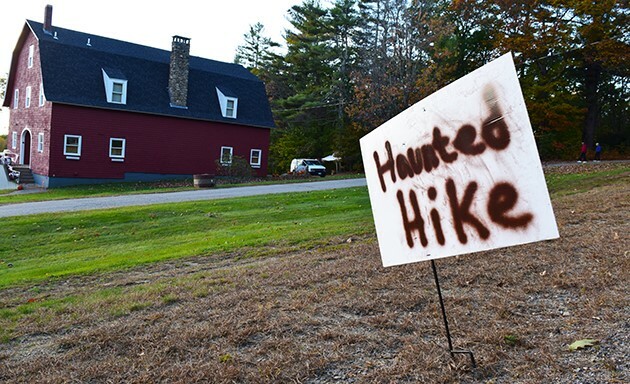 Steele Hill Resorts celebrated Halloween a little early with our first ever Haunted Hike. On the seasonably warm evening of Saturday October 20th, we kicked off this spooky time of year with an event that guests, owners and the public alike could all take part in and enjoy. Participants of the event signed in at the Carriage House where they could choose from numerous family-friendly activities to participate in. Some participants opted to hit the 0.8-mile haunted hike along our very own yellow trail. While the sun was still lingering, hikers could take in the beautiful Lakes Region foliage and enjoy a good scare along the way. 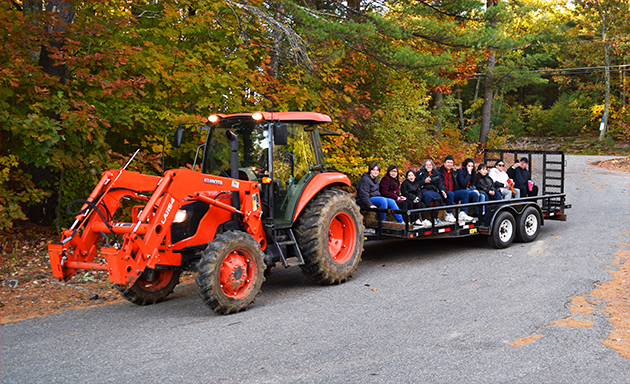 Others decided to relax by the warm fire pit while waiting for a festive hayride to Steele Hill Farm and back, sponsored by the Bickford Family Farm. Additional visitors headed straight for the games, crafts, face painting and refreshments which were set up on the second floor of the Carriage House. Guests enjoyed a variety of seasonal snacks and beverages including: warm apple cider, pumpkin donuts, whoopie pies, a build-your-own caramel apple station with all the fixings and toppings, and full-size candy bars for all the trick-or-treaters. The event raised just over $2,000 and all of the proceeds have been donated to the Dartmouth Hitchcock Norris Cotton Cancer Center in loving memory of our dear friend and coworker, Jan McLaughlin. Jan had been a member of the Steele Hill Family for decades as our reservations manager and had always dreamed of the opportunity to host this event. 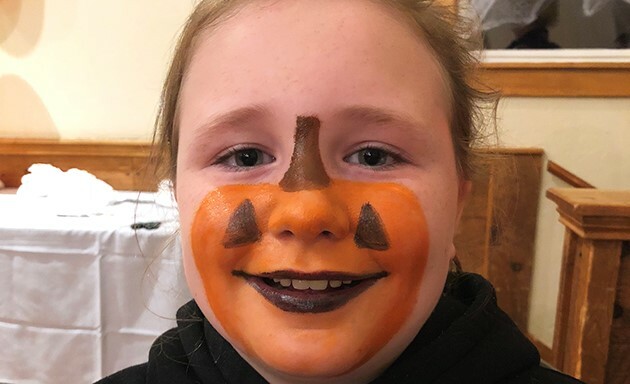 Special thanks to all of the volunteers and sponsors who helped make the Haunted Hike a reality: BG Costumes of the Belknap Mall, Lakes Region Party & Gift, Bickford Family Farm and Pepsi Company. We look forward to scaring (seeing) you all again next year!